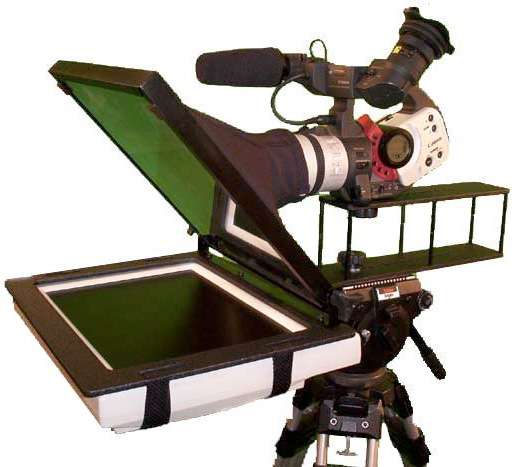 The JonyPrompter is a 100% aluminum professional camera-mount teleprompter that is compact, lightweight and affordable. It supports full size ENG style video cameras as well as smaller Mini-DV style cameras. The mirror folds down for easy and safe transport. It sports a 40/60 beamsplitter mirror just like the $5,000 units.